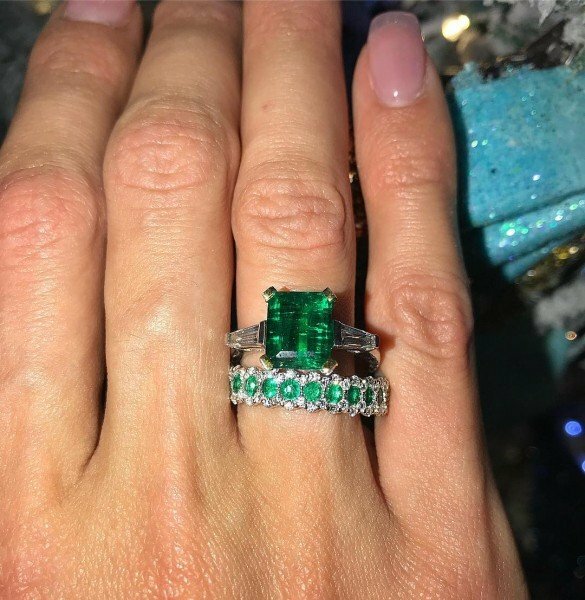 The wife of the Russian millionaire Aleksey Shapovalov, Ksenia Tsaritsina boasting too expensive ring with green stones. She shared a picture of a hand with an expensive ring on her Instagram. Followers of the girl could not reliably determine which stones are used in the ring - green diamonds, turquoise or emeralds. However, all the folowers claimed that the gift was insanely expensive. Ksenia did not satisfy the interest of her fans, and did not disclose the secret about the type of stones. Most of the fans were delighted with the gift, but some of them decided to critisize the model, pointing out that the hands on the photo look too old. Judging by the captions under the photos, the couple met New Year in the capital of Australia - Sydney. 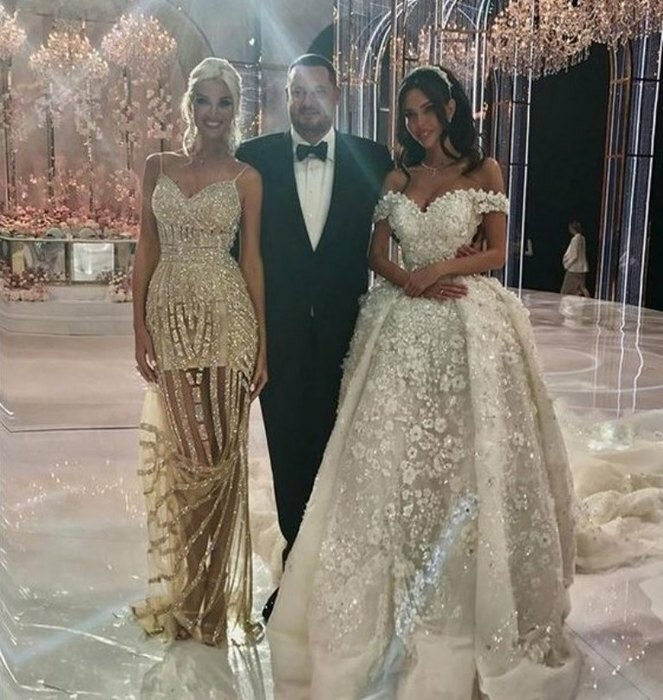 Ksenia Tsaritsyna and Alexei Shapovalov have been together for five years, and since 2012 they have been living in the UAE, where the businessman has a construction business. Ksenia Tsarina posted on her pagea picture of the ring with, saying that her husband is well aware of her taste for jewels. The ring consists of two parts, one part adorned with huge green stone. 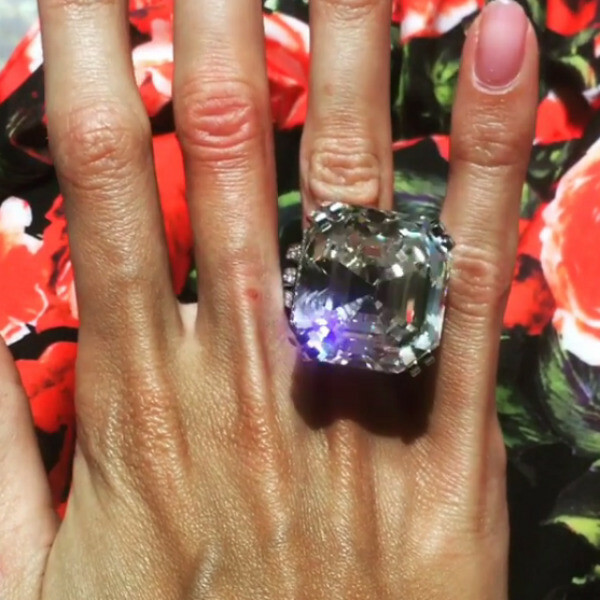 Millionaire made his beloved insanely expensive gift, which all fans never cease to admire. But gems in the setting still unknown. Wife of Alexei Shapovalov, model Tsaritsina showed off a gift that she received on New Year's Eve. She shared picture of double ring with massive green stones. Ksenia posted a photo with the caption: "My Santa knows what I like". Picture got more than 11,000 "likes" and dozens of comments. "Very beautiful. Such pure emerald worth sometimes more expensive than diamond, "- suggested alinaiva777. "A magical combination emerald with cut diamond," - added marichka.shevchenko. Xenia's fans concluded that she deserved this gift. "Xenia is a Cinderella. A lot of work and married Prince "- wrote ulencka_yula. "Beauty! Husband whiz! ", - noted ninulka1984. Also, the model has posted a picture with two kittens. "My best little presents under the tree.. I think I have cat addiction", - she said. Let's remind, that Xenia Tsaritsina married to Aleksey Shapovalov in 2012, and lived together happily for five years.